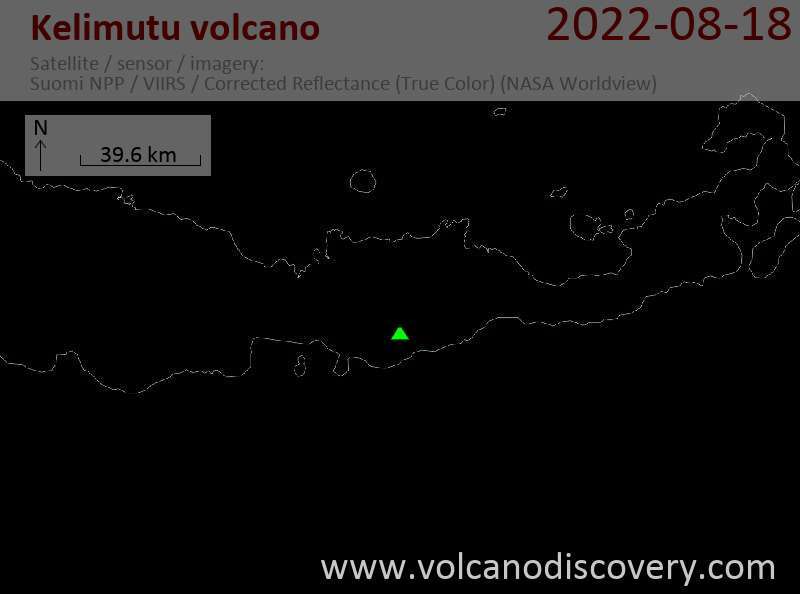 VSI raised the alert level of the volcano on Flores, famous for its 3 differently colored crater lakes, from 1 to 2 ("normal" to "waspada", "watch") on a scaled of 1 to 4, after one of the 3 crater lakes turned from blue to white on 3 June. In addition, a strong smell of sulfur was noted by people from Pemo village a few kilometers south. The main risk in case of an eruption would be phreatic explosions, ash falls, and the possibly catastrophic draining of the lake(s) potentially causing large lahars and floods threatening nearby communities near and inside the valleys radiating from the volcano.